As the rolling blackouts continue, law enforcement officials have been put on high alert for any opportunistic criminal activities as a result of criminals taking advantage of the power outages. 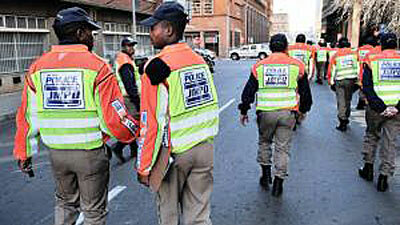 The City of Johannesburg says metro police officers have been deployed at busy intersection to curb potential smash and grab incidents and also help ease traffic jams. Motorists are urged to be more vigilant and ensure their valuables such as bags and cell phones are kept out of sight. The post Law enforcement on high alert due to blackouts appeared first on SABC News – Breaking news, special reports, world, business, sport coverage of all South African current events. Africa's news leader.. PREVIOUS POST Previous post: Royal but regular: Will Harry and Meghan seek ‘normality’ for their baby?